While you probably won’t hear this suggestion from the BWC or your employer, sometimes it's best to hire a lawyer to help with your workers’ compensation claim. Your employer will probably discourage you from contacting an attorney with an assurance that you'll be taken care of following a workplace injury. And sometimes, s/he will be right. As a long-time workers’ comp attorney in Ohio, I can tell you that there’s not much I can do for you in certain workplace injury situations. You suffered a minor injury. It might be a strain, sprain, repetitive motion aggravation, or another slight issue with small medical bills and little need for ongoing treatment. 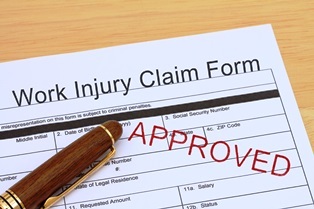 In these cases, your workers’ comp claim should be straightforward. Your employer agrees the injury happened at work. If you reported the accident promptly to your employer and he or she doesn't dispute that the accident occurred at work and you were injured, there should be no barriers to you receiving rightful compensation. Remember your employer's attitude may change if your recovery takes longer than anticipated. You missed little or no work. If you're not filing for lost wage benefits, this simplifies your claim. However, if your claim isn't this straightforward, call us to look at your case. If you were injured at work and your medical costs and time off work are likely to be significant, someone to guide you along the journey can be a huge relief. Your claim isn't being paid promptly. Don’t give up on the benefits you deserve because you're facing a challenge with the claim. Instead, call an experienced workers’ comp attorney who's helped lots of people down this road. It’s not always easy to go through a workers’ comp claim. Employers, the BWC, TPAs, MCOs, and even co-workers can make you feel guilty or accuse you of being a slacker by failing to understand how serious your injuries are. If you're getting jerked around, you need an attorney who has "seen it all" with the BWC's and employer's antics. You wouldn't feel great going into a major surgery with a brand-new surgeon, would you? Why would you settle for an attorney without decades of experience handling workers' compensation cases? I can help. Here are two things to do: (1) download my free book here; and (2) call us today to learn what we can do for you.